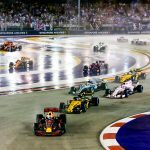 The buzz of attending the most memorable sporting events on the planet has as much to do with the atmosphere in the stadium as it does the competing teams. 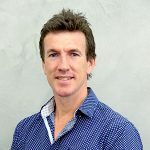 There’s an importance in showcasing your national or team culture throughout a stadium – from the quintessential hot dog and Budweiser in America to the meat pie and beer at the Melbourne Cricket Ground – each stadium preserves its own unique identity. For most stadiums though, their sheer size and capacity is what sets them apart and generates a truly epic experience. Predictably, the USA have solid representation in the top 10 biggest stadiums in the world but there is definitely a surprise or two, most notably at number 1! 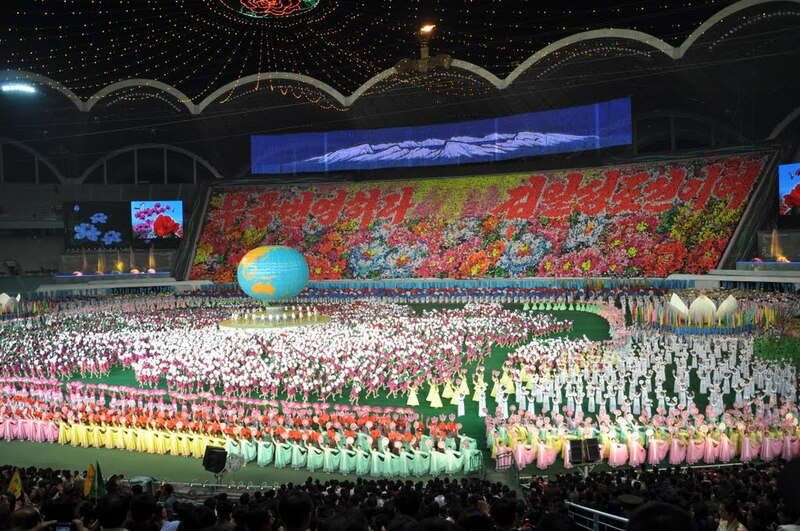 Officially the world’s largest by capacity, Pyongyang, North Korea’s Rungrado 1st of May Stadium takes top spot. Opened in 1989, the mayflower shaped arena was built as a national symbol of power and size and accommodates 150,000 people. The venue holds many events, from football to athletics but is largely used for parades and shows, most notably the annual Arirang Mass Games. 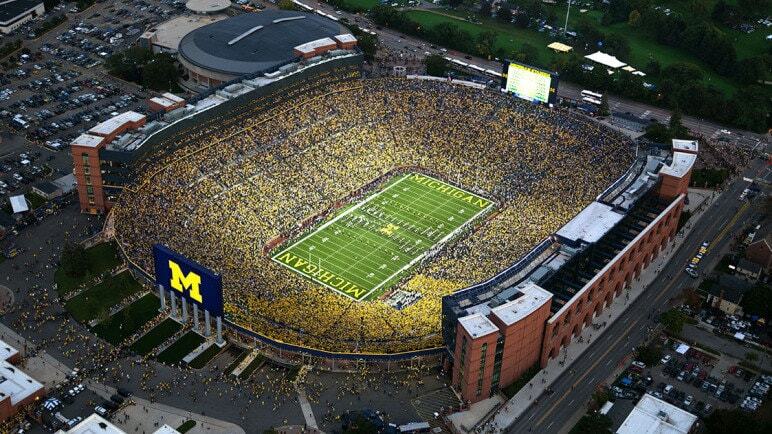 Coming in at number 2 is Michigan Stadium, home to NCAA College football powerhouse Michigan Wolverines. Situated in Ann Arbor, Michigan and aptly named ‘The Big House’, it takes the top spot in America and has hosted over 100,000 people at almost ALL home matches since November 1975. Whoa!!! The Penn State Nittany Lions call Beaver Stadium home, a venue that is widely considered one of the most intimidating venues for opposing teams in US Collegiate sports. 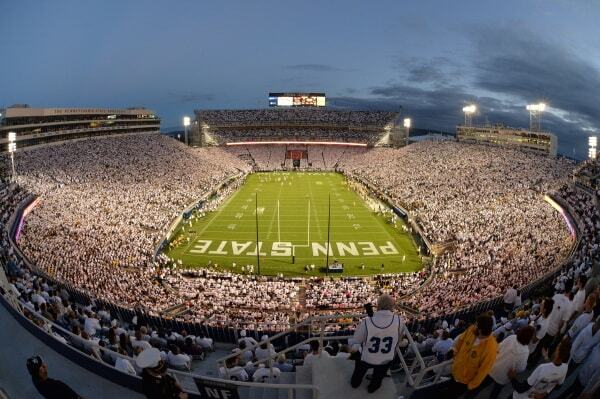 The amazing thing about this stadium, despite the average attendance being a shade under 100,000 per game, the town of State College, Pennsylvania where it’s situated has a population of just 42,000 people! Nicknamed the ‘Horseshoe’ this stadium is home to the Ohio State Buckeyes and because of its shape, arguably does not have a bad seat in the house! 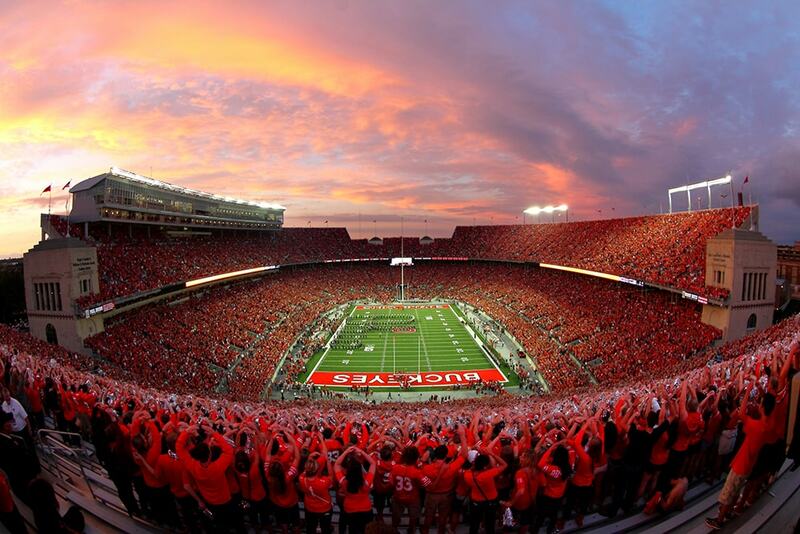 The residents of Columbus, Ohio last saw their team win the NCAA Division 1 title just 3 years ago, defeating the Oregon Ducks 42-20 in the 2014 National Championship game. Home to the Texas A & M Aggies NCAA College football team. 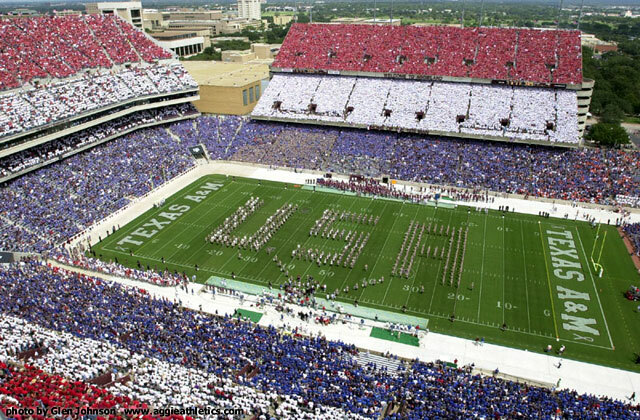 Located in College Station, about 160kms northwest of Houston, Texas, this is another stadium where the average attendance is larger than the population of the city it’s in! Well, they do say everything’s bigger in Texas! 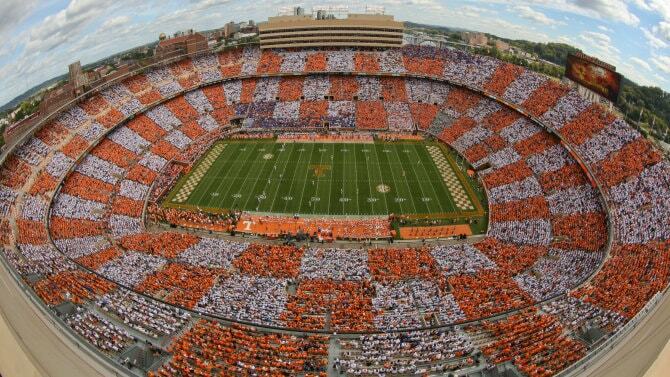 Knoxville, Tennessee is home to the University of Tennessee and their behemoth abode, Neyland Stadium. Like most teams mentioned above, the ‘Volunteers’ also play in the NCAA Division 1 College Football. If American Football’s not your thing, it’s also used for political rallies, religious gatherings and concerts, most notably hosting The Jackson Five way back in 1984! Lying in Baton Rouge, Louisiana on the banks of the Mississippi River, Tiger Stadium is home to Louisiana State University’s football team. Commonly referred to as Death Valley, games here are renowned throughout the US for having one of the best game day atmospheres as well as being one of the most intimidating for their rivals. 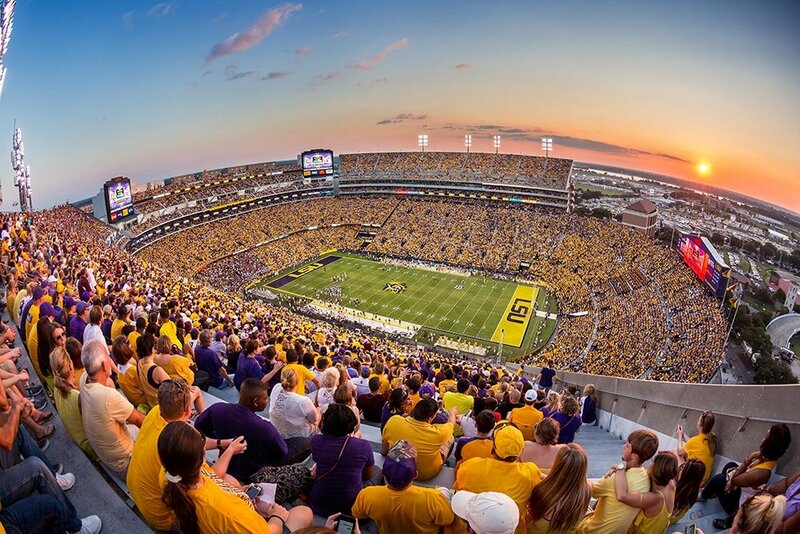 For proof, in 2013 Tiger Stadium was ranked by the NCAA as the loudest venue in all of College football! 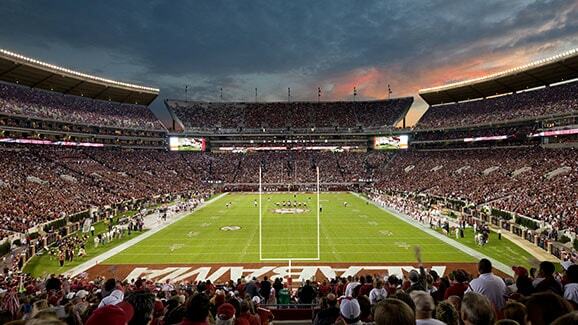 Situated in the heart of Tuscaloosa, Alabama, Bryant-Denny Stadium is home to the University of Alabama NCAA College football team. The Crimson Tide have been the benchmark in American College football for a decade, with the school appearing in 5 of the last 8 national title deciders, winning 4 of them! 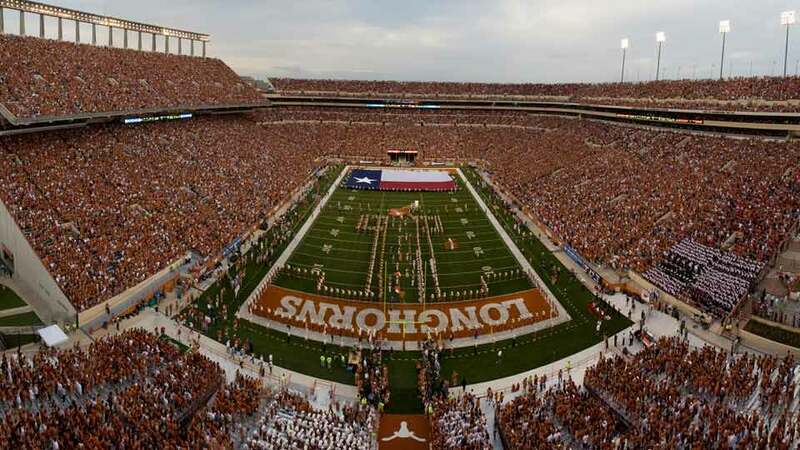 Home of the Texas Longhorns NCAA College football team. This stadium is scheduled to be renovated over the next 5 years, giving Austin, Texas the largest sports stadium in the United States. A literally huge talking point at this impressive structure is it’s electronic scoreboard, nicknamed “Godzillatron” At 41 metres wide and 25 metres tall, it’s about 1.5 times bigger than a standard basketball court! Square eyes, anyone?? Sneaking in at number 10 is one our own – the Melbourne Cricket Ground. Home to two of Australia’s most popular sporting codes – Australian Rules Football and Cricket – this beloved national monument has hosted a raft of huge events including the 1956 Olympic Games, 2006 Commonwealth Games and two Cricket World Cups. 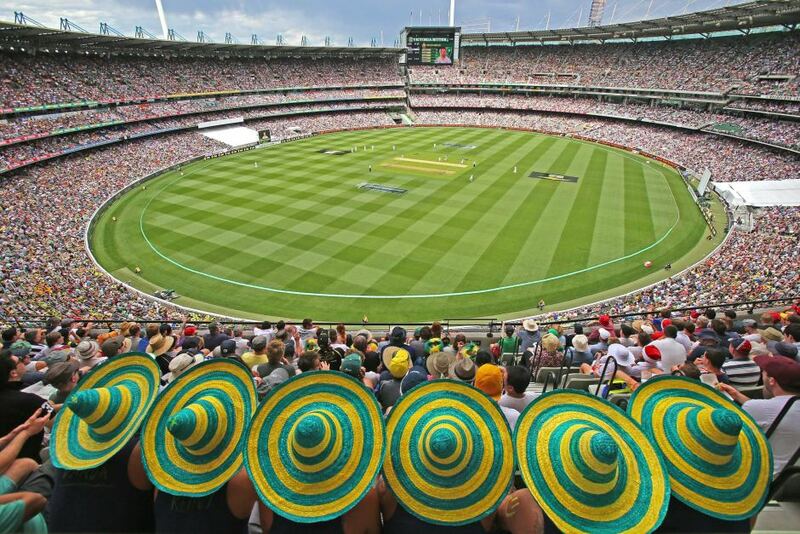 Of course, the MCG annually plays host to the AFL Grand Final and the iconic Boxing Day Test! What was the most attended sporting event on the planet? For good measure, we thought we’d also throw in the most attended sporting event in history. Rio De Janeiro, Brazil’s Maracana Stadium hit the world stage in 2016, hosting the Olympic Games opening/closing ceremonies as well as all track & field events. But can you believe that when host nation Brazil took on continental rival Uruguay in the 1950 FIFA World Cup Final, the crowd figure hit an insane 199,854!! With the current seating capacity of 78,838 fans, we’re still perplexed as to where the other 120,000 people managed to squeeze in!